On 11 and 12 September 2018, the 7th congress of young entrepreneurs and representatives of incubators and support institutions took place in Skopje. The event is organised as part of the Tech Innovation and Entrepreneurship Fellowship Program, run by WorldChicago and supported by the US Department of State Bureau of Educational and Cultural Affairs. Program fellows acquire new knowledge and skills in various US technology-driven companies, governmental and non-governmental organizations that promote innovation and entrepreneurship, as well as in university and non-university tech incubators. Participants gain insight into how an effective urban tech innovation and entrepreneurship ecosystem operates. The Congress is held twice yearly in one of the countries that are involved in the program: Slovenia, Croatia, Bosnia and Herzegovina, and Macedonia. The key objective is to encourage networking and cooperation between participants of past programs, while the meetings are also attended by US experts, who present new opportunities and ideas in the field of technological innovation, entrepreneurship and education. 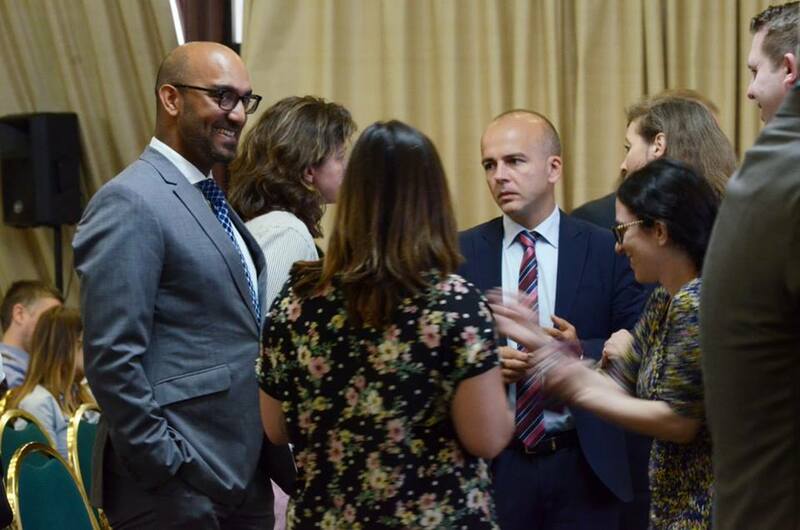 The seventh congress in Skopje was also attended by an IRI UL representative, who was the program’s professional fellow at the Illinois Institute of Technology. On the first day of the meeting, which was dedicated primarily to the intensive exchange between former scholarship holders, Gregor Cerinšek shared IRI UL’s experiences with connecting academia with industry and business. Our PEOPLE project was particularly well-received – as an example of good practice in integrating social science skills into the development of products and services, as well as an example of cooperation between students, academic staff, entrepreneurs, industry, and the local community. 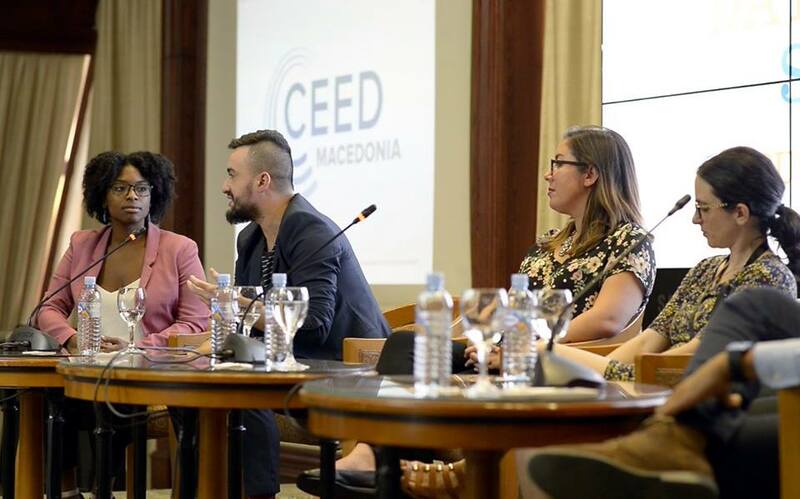 The Doing Business and Data-Driven Society business summit, co-organised by CEED Macedonia and WorldChicago, attracted more than 150 entrepreneurs and experts in the areas of tech innovation and entrepreneurship. The speakers addressed the increasingly important role of data and presented ways of using data in business. Among other topics, they discussed how to grasp the value of data and recognise the data as an asset, or how to infuse business and marketing strategies using data-driven approaches. Application for Spring 2019 Tech Innovation and Entrepreneurship Professional Fellows Program (April 25th -to June 1st 2019) opens October 1st. The program is an exceptional learning and career opportunity for those who want to gain new knowledge and work experience and to be hosted at one of the participating US organisations. More information on the program and application form can be found at http://www.worldchicago.org/worldchicago-tech-fellowship-program/. Meanwhile, read some of the stories and responses of program participants on the CEED Slovenia website.